1) We bring products to the markets & patients that are proven, tested & safe. Each product in the growing Curas range are carefully designed and manufactured, based on their strong credentials in terms of documented performance and cost-effectiveness. 2) It is paramount to us that – each - Curas product used improves the patients or users’ quality of life and comfort of use. 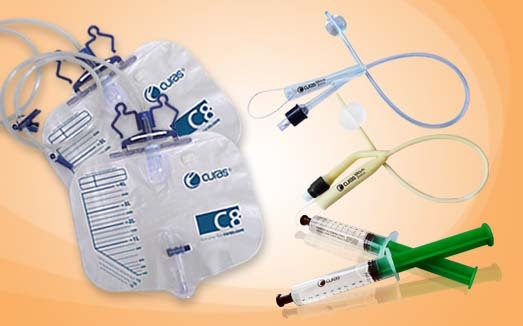 We strive to providing products which improves mobility and comfort-in-use during the treatment and care. The two aspects are the leading parameters we use in our daily efforts to offer an attractive Curas range of products to the market and end-users throughout the world. This clear focus helps us to understand the clinical selection criteria much better each time we make difficult choices; for example when we select product design, raw material, engineering and packaging solution. Curas puts the end-user at the center of our decision making.